OpenOffice is one of the best open source software programs for office solutions such as spreadsheets, graphics, word processing, database, presentations and more. Many people are always searching for ways to convert a PDF file to OpenOffice format. There are two ways by which one can convert PDF to OpenOffice compatible file, and the best way is using PDFelement Pro. Now, read on to learn how to accomplish the task without hassle. There are a number of PDF to OpenOffice converter software that are available to convert your PDF files to the OpenOffice ODT format. Some of the most used methods are mentioned herein below. To make things easier and faster for OpenOffice users, you can convert PDF to Word format firstly, and then save Word as OpenOffice format. To do so, PDFelement ProPDFelement Pro makes working with PDFs very easy. It comes with a host of features which makes editing PDF files easy. Adding this software literally transforms your PDF file into a Word file because it allows you to make use of all sorts of editing options such as adding/editing/deleting text, watermarks, images, links, graphics, shapes, notes, freehand drawings and more in your PDF document. Apart from powerful editing tools, this PDF Editor also offers seamless conversion tools which let you convert your PDF files into a variety of file formats such as HTML, Word, Excel, EPUB, GIF, BMP, and more. Convert PDF to Word, Excel, more formats and batch convert PDFs. 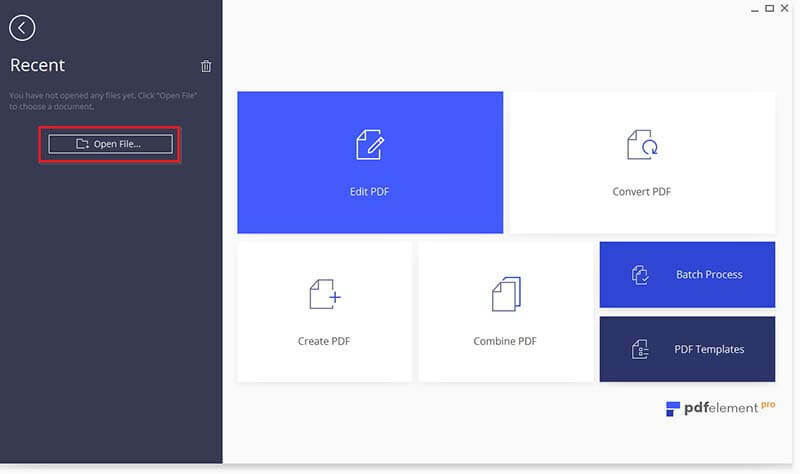 Launch the PDF Editor and then click the "Convert PDF" button to load your PDF to the program from your local computer. You can add multiple PDF files and convert them at one time. In the PDF converting window, set "Word Files" as the output format and customize the page range you want to convert. Finally click "Convert" to start the process. After the conversion is concluded, open the Word document. And then go to "File > Save as". 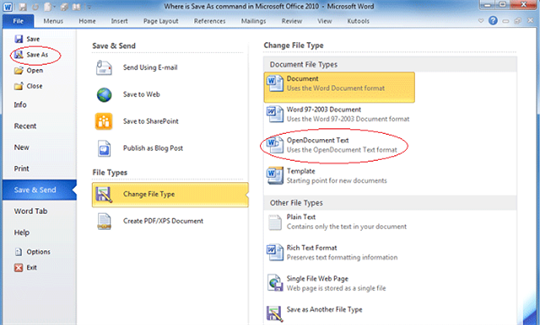 In the drop down menu, choose "OpenDocument Text" as the output format. Finally, click "Save" to get the OpenOffice compatible file. There are a number of online conversion tools that let you convert your PDF files into the ODT format with relative ease. All you need to do is upload your PDF file onto the website, and download the converted ODT file back on your computer. Although these methods are available free of cost, they do have a major drawback when it comes to the security of your documents. Some of the top online conversion tools that you can look at include Zamzar, Online2PDF, FreeFileConvert and ConvertFiles. The following are some of the most common file formats that are supported by the OpenOffice application. 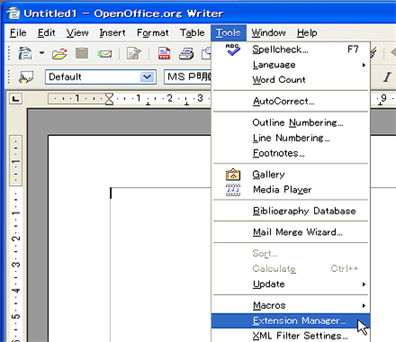 OpenOffice offers users a PDF Import Extension that allows them to import and modify PDF files using OpenOffice. The extension offers excellent layout accuracy and also works seamlessly on PDF/ODF hybrid files. Here is a step-by-step guide on how to import PDF to OpenOffice. Visit the website extensions.openoffice.org to download the PDF Import Extension. Launch the OpenOffice software and install the extension. To do so, click on "Menu > Tools > Extension Manager > Add". Select the extension file that is usually downloaded to the "Downloads" folder and click on the "Accept" button. Click on "Enable" when prompted to complete the PDF Import Extension installation. Click on "Menu > File > Open". Select the PDF file that you wish to import to OpenOffice and click on "OK".